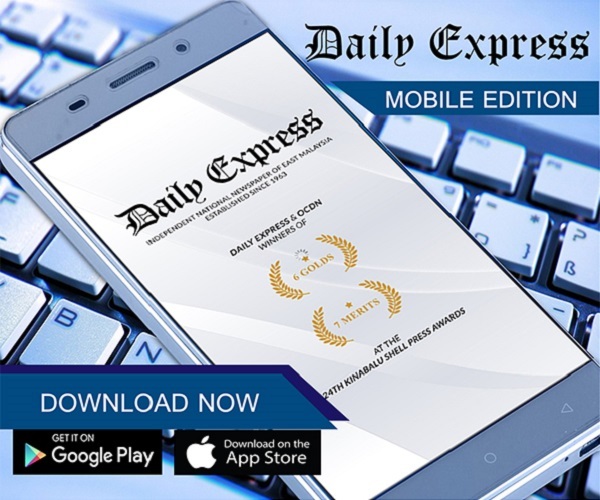 Gleneagles KK commences op | Daily Express Online, Sabah, Malaysia. Kota Kinabalu: The newest private hospital in the city, Gleneagles Kota Kinabalu, officially commenced operation on Friday.The hospital which is the first international tertiary hospital in Sabah, is also Parkway Pantai's first healthcare facility in East Malaysia. Gleneagles Kota Kinabalu Chief Executive Officer, Jean-Francois Naa said during the soft opening ceremony, the plan to open the hospital began three years back, starting with the joint venture between Riverson Corporation Sdn Bhd, Warisan Harta Sabah Sdn Bhd and Sahamurni Sdn Bhd. "From the time the project materialised in 2011, to the hospital's topping out in April last year, it was a momentous day for all of us when we finally opened our doors to patients on May 5 this year." He said the hospital, which is built to the Joint Commission International standards, was well-resourced with new medical technologies and highly qualified team of consultants as well as healthcare professionals. "The total capacity of this hospital is 200 beds but we are starting now with 70 beds and along the way we will increase our capacity. "We do have key services. If you think about cardiac disease, Gleneagles Kota Kinabalu should be the choice. "We have specialists here from Kuala Lumpur. We do also have a radiologist, an interventional radiologist." He added that besides the team working with the hospital, apart from local doctors, they also have local specialists from abroad coming to work with them. "Same with our nurses, we are providing quite a substantial number of jobs. We have more than 250 people in this hospital. "And among the nursing staff, most of them are Sabahans and there actually nurses coming back from Saudi Arabia, Brunei and Dubai." Gleneagles Malaysia Chief Operating Officer, Dato' Amir Firdaus Abdullah in the meantime said the hospital's location gave some of the best views to its patients. "One of the reasons why we actually maintain this curvilinear building was to ensure we can bring that (scenery) into the patient care and also the patients' rehabilitation as well. "We talked about hospitality services in terms of being a hotel and we have the potential of doing fine dining for patients from our own kitchen downstairs. "That kitchen is maintained and there are staff from hotels who have come on board who have actually joined us." Meanwhile, Naa also said so far the hospital had received quite a good response from the public. "Actually what surprised the public was our affordability. Expectation for such a quality hospital with a brand like Gleneagles, I think most of the public believed it would not be actually affordable. "And this is not the case. From day one, when we started operation, we had this strategy to actually provide not only high quality healthcare but also affordable. 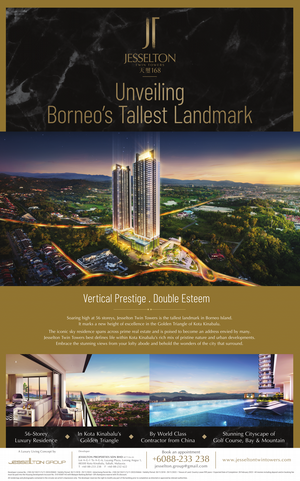 So we are at a level to what it is existing now in terms of price in Kota Kinabalu. "Even lower to some extent…but more importantly, is the service that we offer and the quality of this service that we offer. So we offer the same price but more better service and quality." Amir added that for about three months prior to its opening, the hospital had received numerous calls from around the State inquiring on appointments and such. However, he added although the response had been overwhelming, they waited on receiving patients until they have organised and readied themselves. So far, the hospital has already done several operations which included a caesarean and laparoscopy while more have been scheduled for the weeks ahead, said Naa. Furthermore, Naa also said the hospital is very patient-centred where the patients' safety were paramount. "It's all about the patients. We don't want to have a super high activity at the beginning should we compromise the patients' safety. "This is actually on top of our list. So before any procedure, we make sure everything is ready and before we engage ourselves in more procedure, we want to make sure that all the stuff is ready." Amir also said the hospital plans to add translators in time to their team to cater to foreign patients from places who may not be able to speak English. In another development, Naa said that the hospital will be having their Open Day on Sunday (May 24) which is open to the public from 10am onwards. There will be complimentary basic screening test, blood donation drive, health talks, lucky draws as well as colouring contest and face painting for children among the many activities on that day.